How do we ensure that technological, cultural and economic changes empower people rather than oppress them? This was the task which Jeremy Corbyn set himself at a recent lecture on the media in Edinburgh. There is no doubt that the media must find a way to deal with technological, cultural and economic changes in our current age. There are a few older models which have suggested that there is a different way to organise media companies. Both Co-op News and the Morning Star operate as co-operatives. As co-operators we believe that our business model can work in just about any sector of the economy. In his lecture Jeremy highlighted two excellent Scottish examples of how to deal with change in the media industry. Both the West Highland Free Press and The Ferret in their own ways suggest a way forward. The West Highland Free Press has been employee-owned since 2009. It demonstrates the vision of its founders as a media outlet firmly rooted in its location. By empowering its own workforce, the Free Press has made its own success much more likely. The Free Press has sought to empower the people of the western highlands and islands since its foundation in 1972 and by becoming employee-owned it sought to practice what it preached. The easy option for the founders of the Free Press would have been to sell to the highest bidder which would have left the Free Press open to becoming part of a bland corporate entity which would have diluted or even eliminated its strong campaigning voice. The Ferret is a co-operative of investigative journalists. The Ferret has journalist directors and reader directors and aims to allow journalists to investigate stories without corporate or political interference. The Ferret operates its Fact Check service, which checks the claims of politicians and organisations. Whilst this may not always be comfortable for politicians it is an invaluable service for the political debate. Jeremy suggested that organisations like The Ferret and the West Highland Free Press could be helped by granting them charitable status. 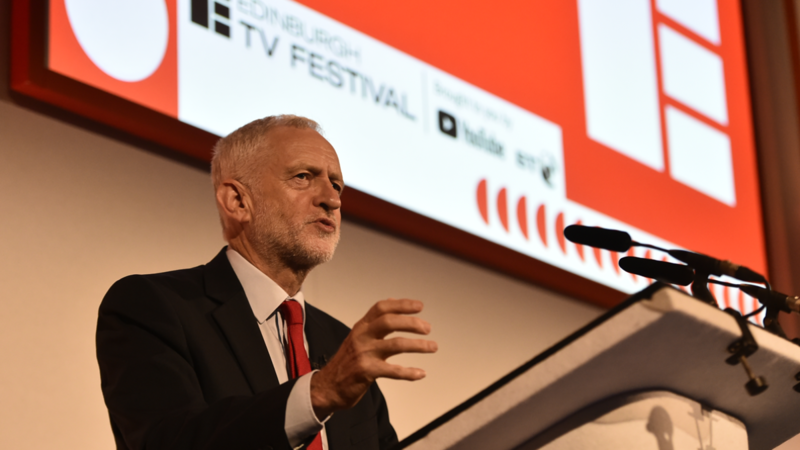 Jeremy also echoed the Co-operative Party’s People’s BBC campaign and spoke about democratising the BBC and removing the political control of the government from senior appointments and the setting of the Licence Fee. Jeremy Corbyn’s contribution to the debate on media ownership reinforces what we have long known that ownership matters. It matters who owns our media and it matters how that ownership is organised. Employee-ownership, co-operative ownership and democratic control of the media demonstrate a way forward for the media in this country that would enhance local media outlets and also promote independent investigative journalism which is needed now. Fundamentally it is a means of empowering workers, members and consumers.